Too many ministers are running on empty. Burdened with almost unbelievable loads of duties, they are running out of both physical and spiritual gas. Consequently, congregations suffer from ministry by ministers who are experiencing stress, burnout, and possibly compassion fatigue. However, one solution has saved the ministry of many pastors and staff. Churches are beginning to realize how important it is for congregations to set aside time and funds to allow their ministers extended rest and study. The sabbatical tradition began in the universities at the time when the university was part of the church. The idea was that the university professors needed one year in every seven to become students again and to refresh their spiritual calling. That tradition is alive and well in secular as well as church-related universities today. Unfortunately, it is not as alive or well in the churches. Too often church leaders are reluctant to arrange periodic times when the pastor or staff member can become a student and worshiper for the purpose of refining and updating professional skills and refreshing the spiritual life and calling. Both congregations and their pastors and staff actually need sabbaticals from each other, and both can benefit from some time spent apart. Ministers and Church leaders should not see the sabbatical as a reward for good work or simply a benefit to keep the minister happy. Neither should they view it as an extension of the normal vacation period. Rather it should be an important part of the program of the church and the working relationship between the church and its ministers from which both will draw benefits. Unconsciously, pastors and/or staff know they need a change and a renewal; so many decide the way to meet these needs is to change situations (move) or deny these needs. For additional information and conversation on pastoral sabbaticals, please contact Dr. Wentworth at the District Office. 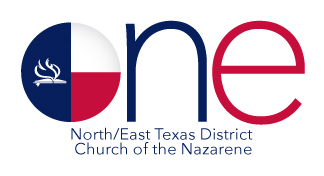 Lake Jackson Cornerstone Church of the Nazarene is excited to offer Nazarene Pastors, Associate Pastors, and Missionaries an opportunity to take some time to rest in our remodeled and renovated “Mission House”. The use of the fully furnished 3 bedroom 2 bathroom house is available on a first come, first serve basis at NO CHARGE. Feel free to check out the “Mission House” Calendar in the link provided below to see if there are available dates for the time that you would like to stay. Requirements, guidelines, and additional information can be found by clicking HERE. Feel free to download the document, print it out, and send it in to us! If you have any additional questions please call the church office at 979-798-1580. Scottsville Camp outside Marshall is often available for sabbaticals and pastoral ‘respites’. Visit the SCCC website for information on the Camp or call 903-930-0284.